Mai Ram Yoga Basic Therapy is asana and pranayama practices adapted for people who seek self-knowledge but have various health problems. Mai Ram Yoga Basic Therapy practices teach focus of attention and self-analysis through the human body. These practices help to understand body problems, listen to oneself without causing negative emotions but rather by learning to accept and observe oneself and one’s illness, difficulty or pain in a biased manner and release it with a feeling of detachment. Then the practices give an opportunity to penetrate into deeper levels of consciousness and achieve a positive transformation of the self. The essence of Mai Ram Yoga practices is self-development, growth and nurturing of body consciousness rather than body beauty, flexibility and youthfulness. 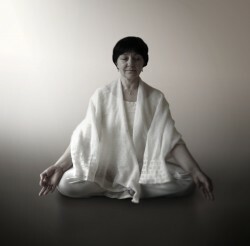 Alma is a teacher of the yoga practices.